I really like it when birds just seem to be in the right place and look as though they have posed for the camera. 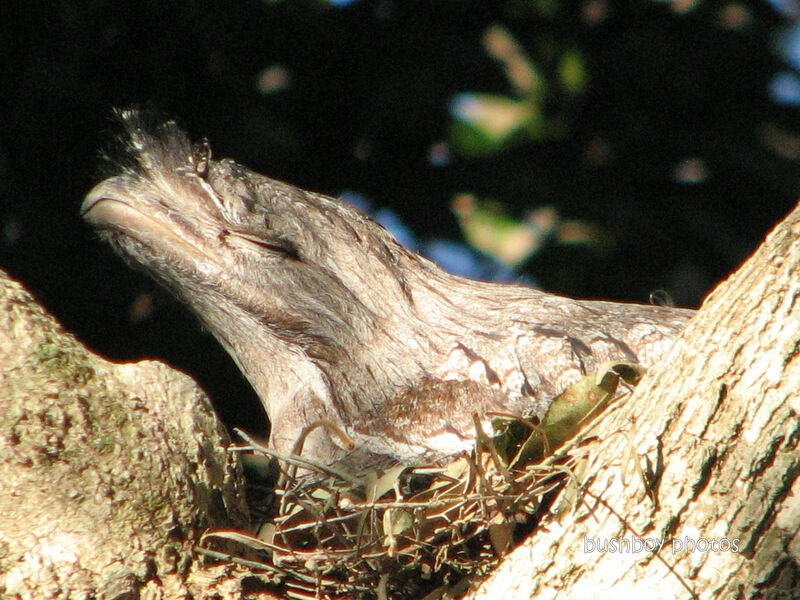 This Tawny Frogmouth is a good subject as it just sits on the nest, a nest of loosely thrown together sticks and leaves, sitting so still trying to be part of the tree. I do think she has a bit of a smile don’t you? Darters just standing on the rocks, often looking left then right, swivelling about but not moving their big webbed feet. Sometimes I have been in the thick of the action. The Terns and Seagulls were just sitting on the beach when all of a sudden, whoosh, they all took to the air in a flurry of wings. One late afternoon, driving home from town, I spotted this Black Necked Stork ( much prefer Jabiru) prowling around this inundated farm paddock looking for a bit of tea. He did get lucky as the paddock, which was dry until the landowner decided to block the drain to turn the land back into a wetland, mainly for water couch to feed his cattle, had quite a few frogs which were calling for mates, not as an advertisement that a meal can be found here!! 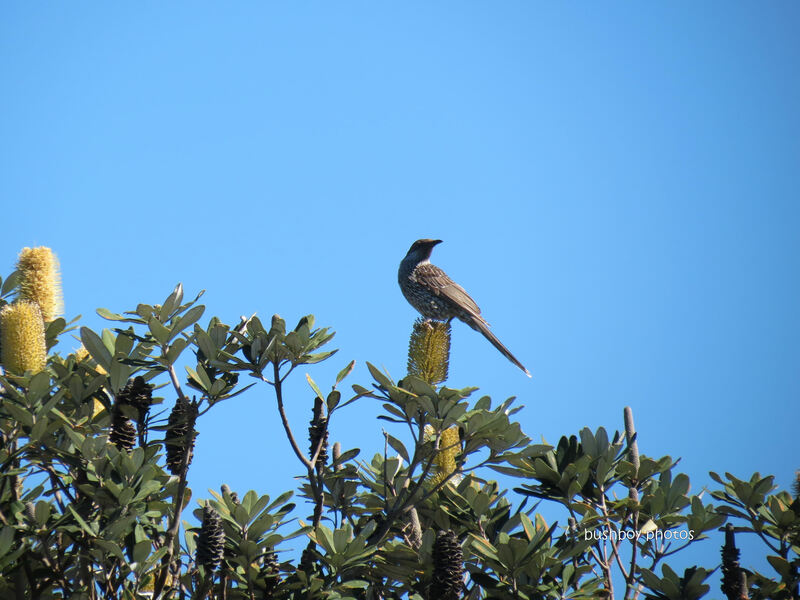 A banksia makes a fine viewing platform for a Wattlebird (I think). There were many birds calling this day but not many seen, so this was a lucky shot. The Pelican was having a bit of a nap on top of a light pole before being awoken by me sneaking up to get some photos, although I do think that Pelicans have a rather permanent startled look anyway. 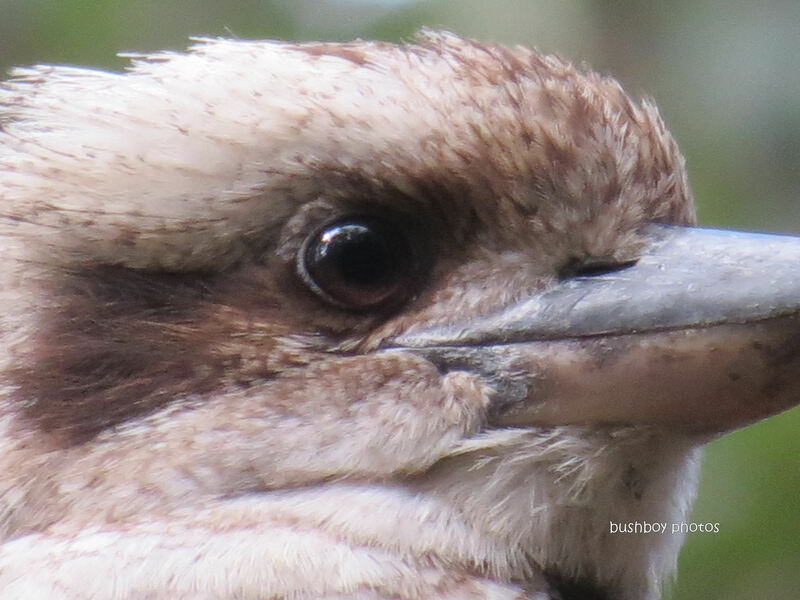 Love Kookaburras even when they set off at the crack of dawn. They also don’t mind posing so you get their best angle even if their “hair” is a bit messy!! 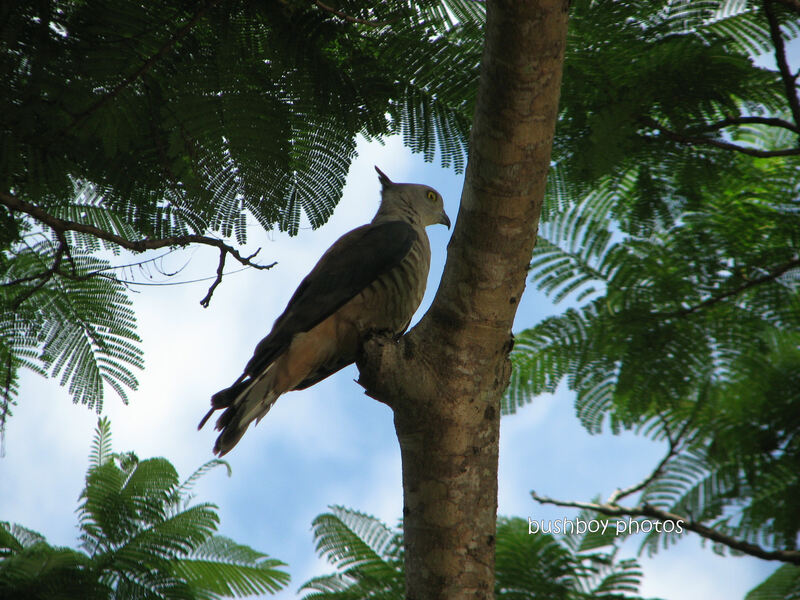 Love the bird pics Brian! Especially love Jabirus, and owls. 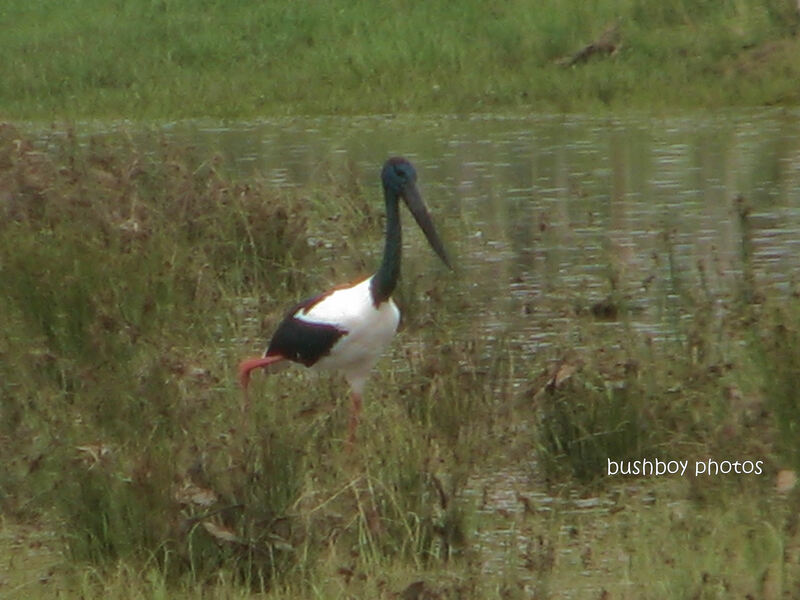 Thanks Fiona 🙂 It was so dark getting the photos of the Jabiru, I didn’t think they would come out….the one with the frog in its bill was a blurred mess, pity!! Those Darters look similar to Little Black Cormorants. 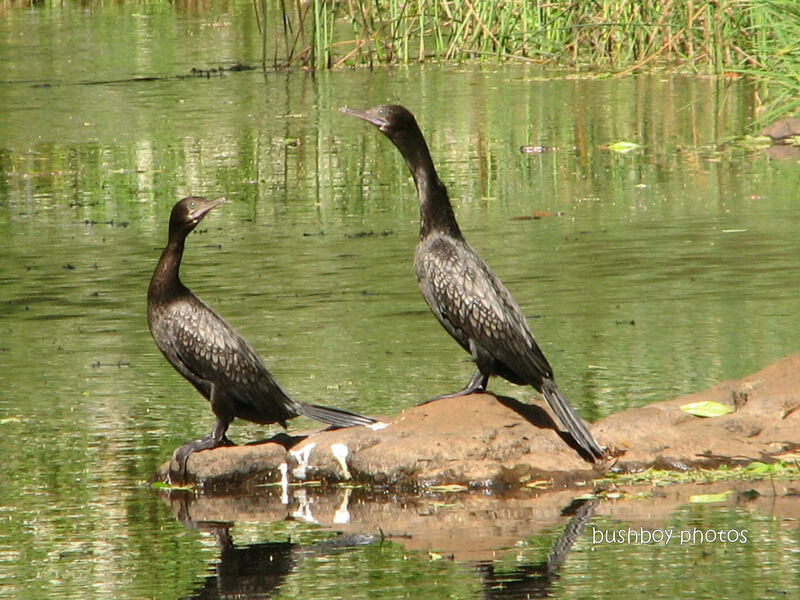 I’ve done a blog piece on Little Black Cormorants now i’m hoping they weren’t really Darters! Great pics!